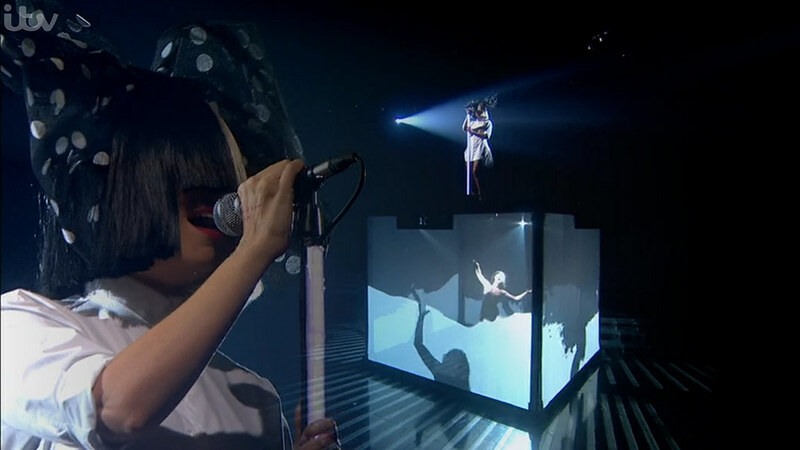 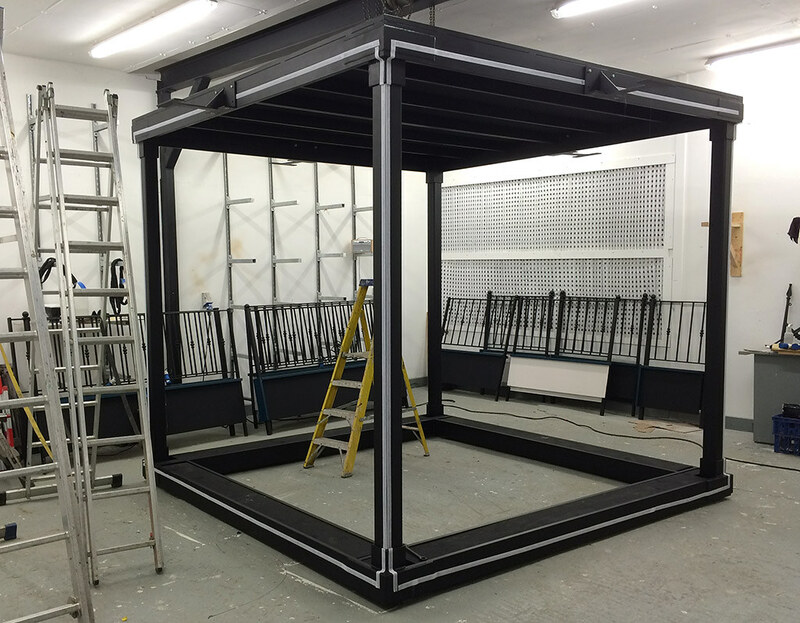 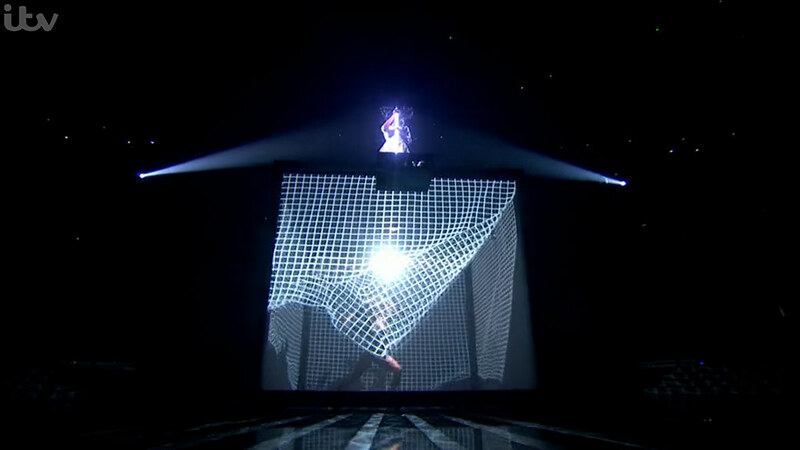 Steel frame cube with projector brackets built for Sia's live X-Factor performance of 'Alive'. 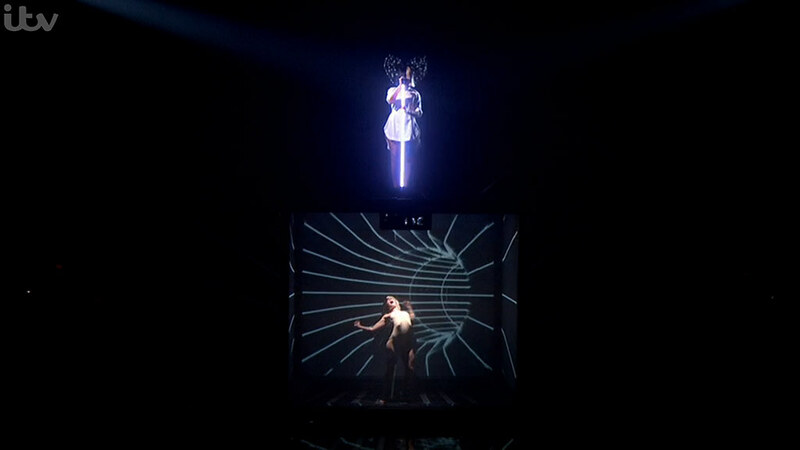 The stage has voile covered sides which pick up the projection, and also allow the dancer inside to be seen. 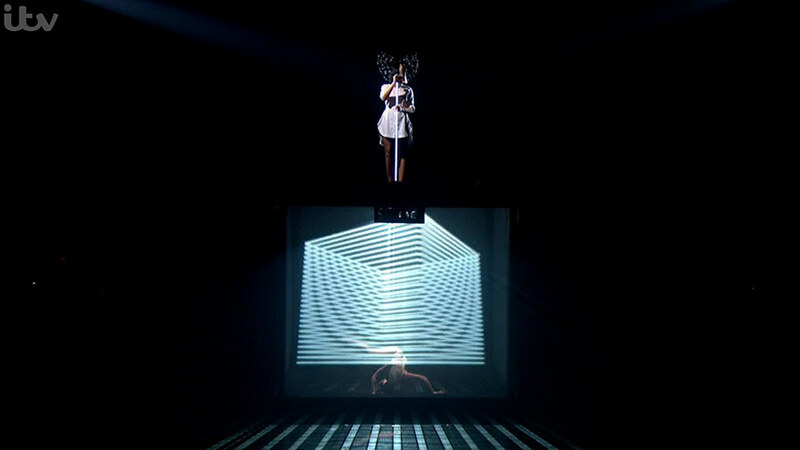 Spacial designed and built the frame, liaising with the production and projection teams in a very short timescale, and placed it on and off the stage during the live show.